Prositions Named Finalist for Two Prometheus Awards | Prositions, Inc. Prositions Named Finalist for Two Prometheus Awards | Prositions, Inc.
Prositions, Inc. has been selected as a finalist for Small to Medium Technology Company of the Year for the 11th Annual LWBJ Prometheus Awards by the Technology Association of Iowa (TAI). In 2013, Prositions won the Prometheus Award for Startup Company of the Year. The Prometheus Awards are designed to recognize organizations and individuals who have made a significant contribution to the technology and software industries. Prositions has been a strong supporter of TAI and an active participant in programs, like HyperStream, that encourage aspiring students to seek technology career opportunities in Iowa. Frank Russell has also been named a Prometheus Award finalist for CEO of the Year. Mr. Russell has been recognized numerous times as a serial entrepreneur and technology pioneer. 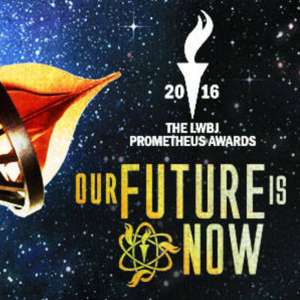 The Prometheus Award winners will be announced on Thursday, April 14th. The Prometheus Awards have been established as Iowa’s largest and most prestigious distinction dedicated to recognizing and celebrating the innovation and brilliance of Iowa’s high-tech industry. For more information about the Prometheus Awards and the Technology Association of Iowa, go to http://www.technologyiowa.org.